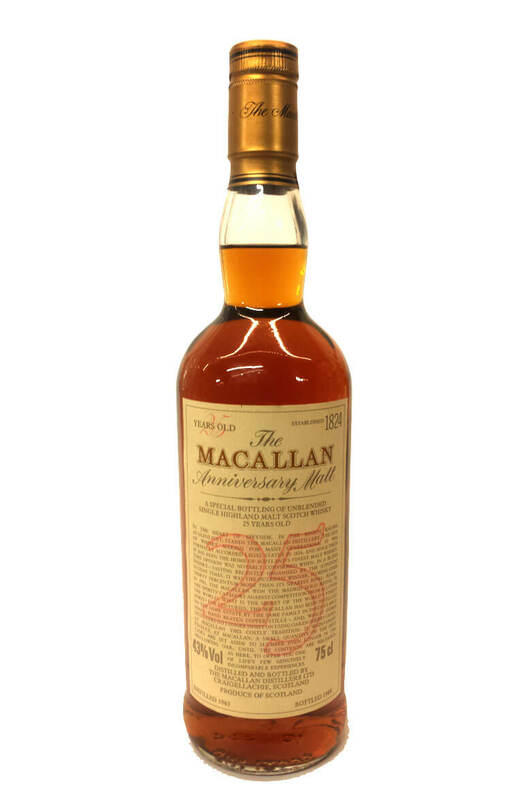 A rare old bottle of Macallan that was bottled at 25 years old. Distilled in 1963, this comes with the original pine presentation box. This is the famous old Anniversary edition and is one of the most sought after of all Macallan single malts. Entirely matured in sherry casks. A rare old bottle of Macallan that was bottled at 25 years old. Distilled in 1970, this comes with t..